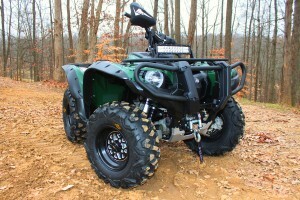 More power without regret for your generation 1 Yamaha Grizzly 700. If you have an older Grizzly 700 and are looking for an increase in horsepower, according to HMF’s dyno, the addition of an exhaust and Fuel Optimizer yields around 6.5% more horsepower, and 4% more torque to the generation 1 Grizzly engine. 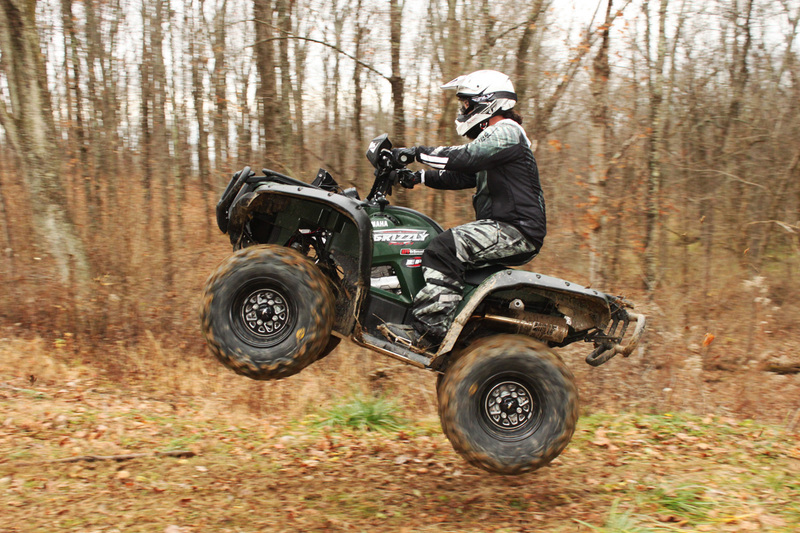 For 2016, Yamaha introduced a brand new Grizzly 700, replacing the old 686cc engine with one that’s 22cc larger. 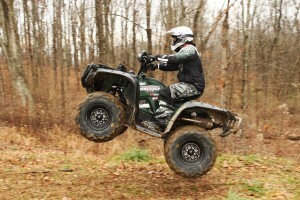 It’s said to produce 6% more horsepower and 9% more torque than its predecessor, and you can feel it out on the trail. 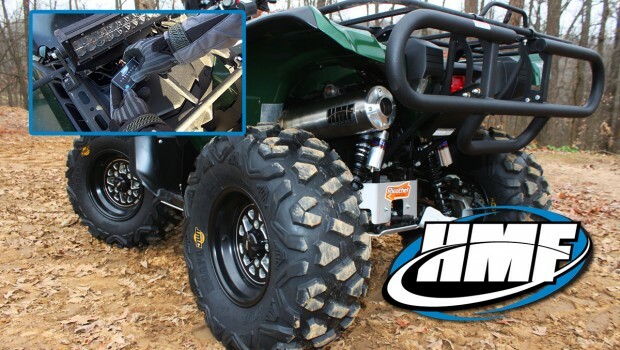 If you have an older Grizzly 700 and are looking for an increase in horsepower, according to HMF’s dyno, the addition of an exhaust and Fuel Optimizer yields around 6.5% more horsepower, and 4% more torque to the generation 1 Grizzly engine. Additionally, the older Grizzly weighs 39 pounds less than the 2016. If you haven’t added a bunch of accessories, the older Grizzly enjoys a power-to-weight advantage over the new Grizzly by simply swapping out the exhaust and adding a tuner. 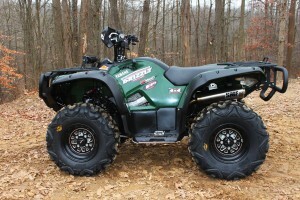 Our generation 1, 2010 model Grizzly 700 is outfitted with a number of accessories including a switch from 25” to 26” tires. 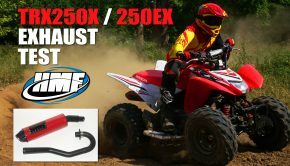 To gain acceleration and top speed, more horsepower is necessary, so we decided to put HMF’s Titan Series Exhaust and Fuel Optimizer to the test. 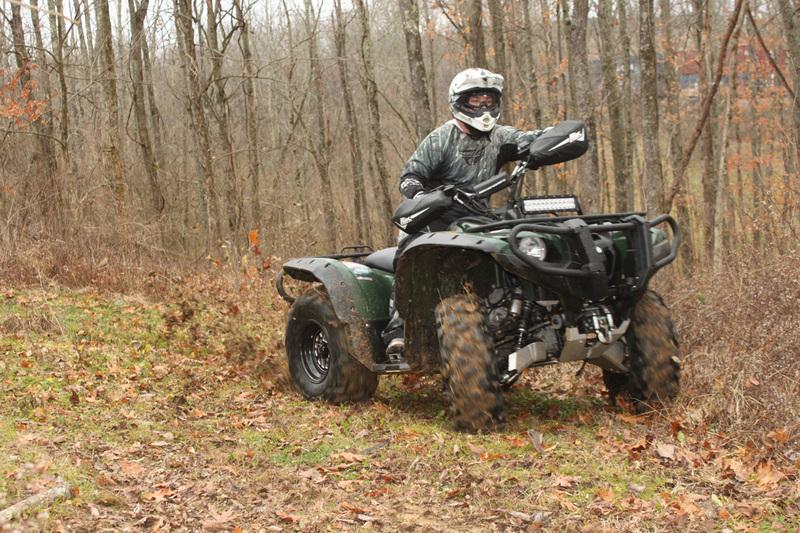 Our generation 1, 2010 model Grizzly 700 is outfitted with a number of accessories including a switch from 25” to 26” tires. In reality, they’re more than an inch taller and heavier than stock. Taller tires make acceleration sluggish off the bottom and throw off the CVT’s shift points. To recalibrate our Grizzly’s CVT transmission, we installed an EPI Sport/Utility clutch kit for 27-28” tires. Providing better acceleration, it slightly raises the RPM at which the clutch initially engages on takeoff, and lets the engine gain back the RPMs it loses from turning taller tires before upshifting. 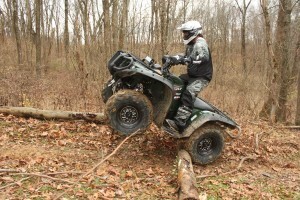 Still, running taller tires raises the ATV’s overall gearing impacting acceleration, and their heavier weight could actually decrease the machine’s top speed. To gain acceleration and top speed, more horsepower is necessary, so we decided to put HMF’s Titan Series Exhaust and Fuel Optimizer to the test. 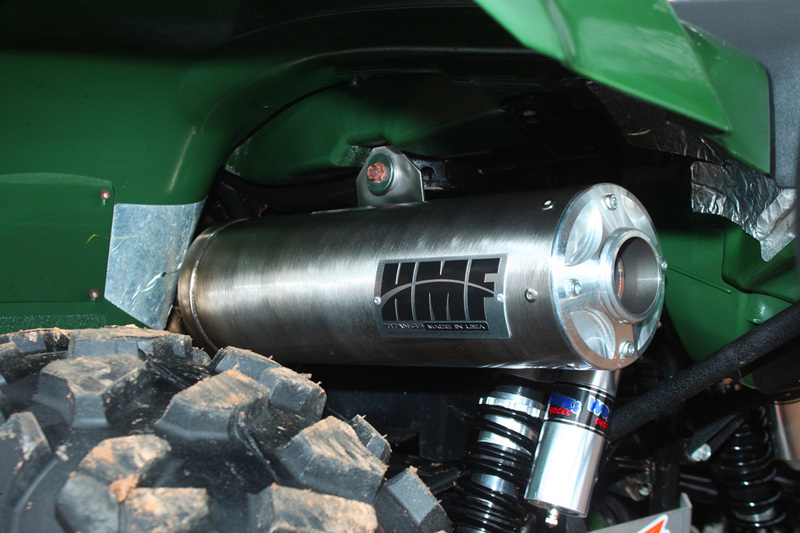 Formerly known as the Swamp Series, HMF’s Titan is a slip-on exhaust constructed of stainless steel with a CNC machined aluminum end cap. 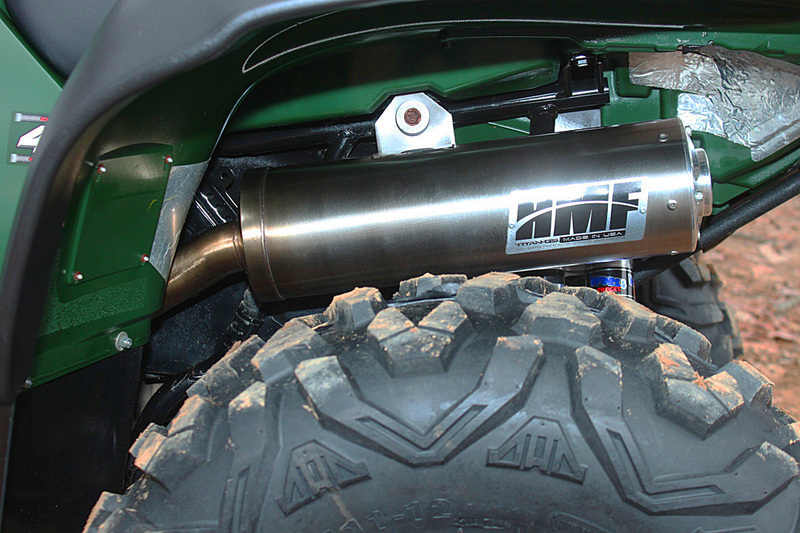 Formerly known as the Swamp Series, HMF’s Titan is a slip-on exhaust constructed of stainless steel with a CNC machined aluminum end cap. Stainless steel makes the Titan corrosion resistant and gives it the ability to stand up to extreme temperatures. It features a larger shell with more internal volume, said to increase horsepower and torque while suppressing sound output. With the quiet version producing a claimed 94db, it’s virtually as quiet as stock. Making more power while keeping sound output down is a great way to keep riding areas open, and a removable spark arrestor is included. The Titan features a larger shell with more internal volume, said to increase horsepower and torque while suppressing sound output. With the quiet version producing a claimed 94db. Adding a piggyback fuel injection module like HMF’s Fuel Optimizer is mandatory with the addition of a freer flowing exhaust. 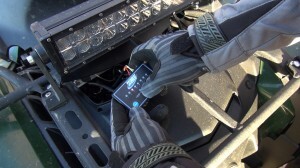 The system plugs in within minutes and provides easy-to-use, pushbutton, on-board tuning with no laptop computer needed. This makes fine tuning out on the trail a quick, easy, and somewhat fun process. It’s also a lot easier than changing jets in a carburetor. The HMF Fuel Optimizer provides on-board tuning with no laptop computer needed. This makes fine tuning out on the trail a quick, easy, and somewhat fun process. 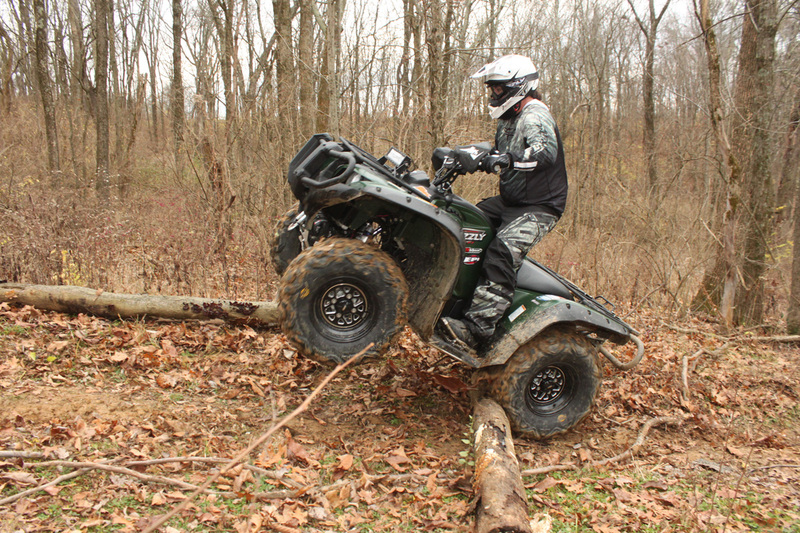 We loaded up the Grizzly and headed to Haspin Acres Off-Road Park in Laurel, Indiana, one of our favorite local ride spots to put the HMF exhaust and optimizer to the test. Firing up the Grizzly, we were welcomed by the quiet, yet much sweeter sounding, HMF Titan Series exhaust. Its sound output is close to stock, but with a deeper, throatier, and more potent sounding tone. Hot starts were a bit slow with the base setting on HMF’s fuel optimizer, until we leaned the 0-1/4 throttle setting from the number 4 to the number 2 position. This also eliminated a minor stutter we sometimes noticed around 1/4 throttle under acceleration. the combination of the Titan Exhaust and Fuel Optimizer increased horsepower across the board, with the most notable gains in the midrange. With our Optimizer fine-tuned a bit, the combination of it and the Titan Exhaust increased horsepower across the board, with the most notable gains in the midrange. You really feel the increase in power accelerating up hills and out of corners. Power delivery is still very smooth and broad. Acceleration seemed notably improved at higher speeds on long straights. The larger tires and increased top-end power should raise the machine’s top-speed; however, we couldn’t find adequate space to get it fully tapped out. With improved torque, the larger, heavier tires were less taxing accelerating from a dead stop. We picked our way up slow, technical, rocky climbs in high range where we probably should have shifted the transmission into low just to be kind, but there was plenty of grunt on tap to keep us crawling along in high. The extra power and torque is a real benefit with taller tires. With stock size tires, the improvement in acceleration and fun factor would be even more dramatic. We’ve used the HMF Titan Series Exhaust and Fuel Optimizer on a couple of machines, now, and have been pleased with their durability and long lasting good looks. The Titan Series Exhaust and Fuel Optimizer provided an increase in performance across the board for our Grizzly 700. 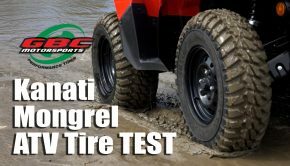 The extra power and torque is a real benefit with taller tires. With stock size tires, the improvement in acceleration and fun factor would be even more dramatic. Making more power, improving sound, keeping it quiet, and providing good, long-term durability make HMF’s Titan Series exhaust and Fuel Optimizer a horsepower upgrade without regret. 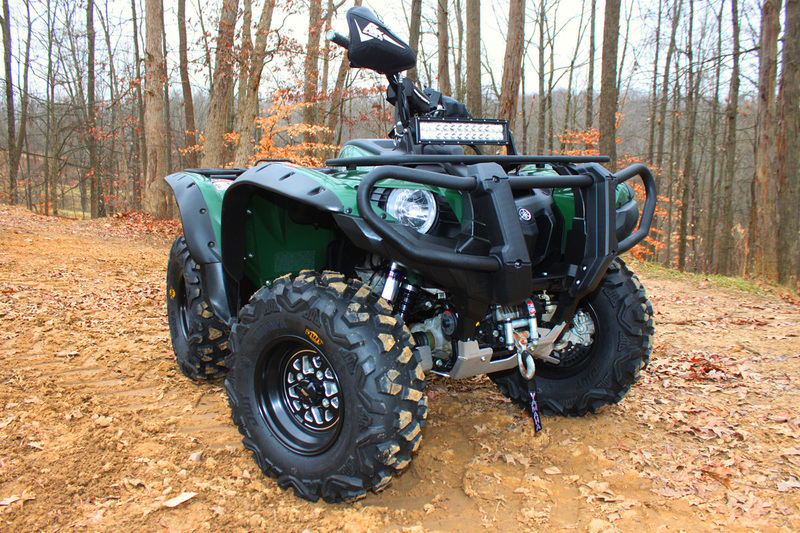 Adding an HMF Titan Series Exhaust and Fuel Optimizer to your older Grizzly 700 will close the power gap on the latest model Grizzly’s performance. Making more power, improving sound, keeping it quiet, and providing good, long-term durability make HMF’s Titan Series exhaust and Fuel Optimizer a horsepower upgrade without regret. 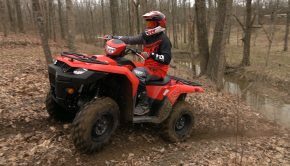 Summary: Adding an HMF Titan Series Exhaust and Fuel Optimizer to your older Grizzly 700 will close the power gap on the latest model Grizzly’s performance. Making more power, improving sound, keeping it quiet, and providing good, long-term durability make HMF’s Titan Series exhaust and Fuel Optimizer a horsepower upgrade without regret.